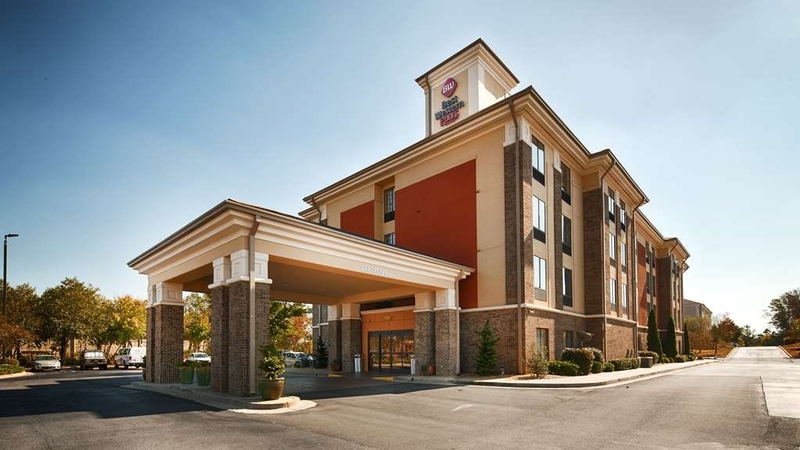 The Best Western Plus Fairburn-Atlanta Southwest is ideally located in the center of Fairburn. Come and experience our hotel near the major tourist attractions. Best price guaranteed and exclusive deals. 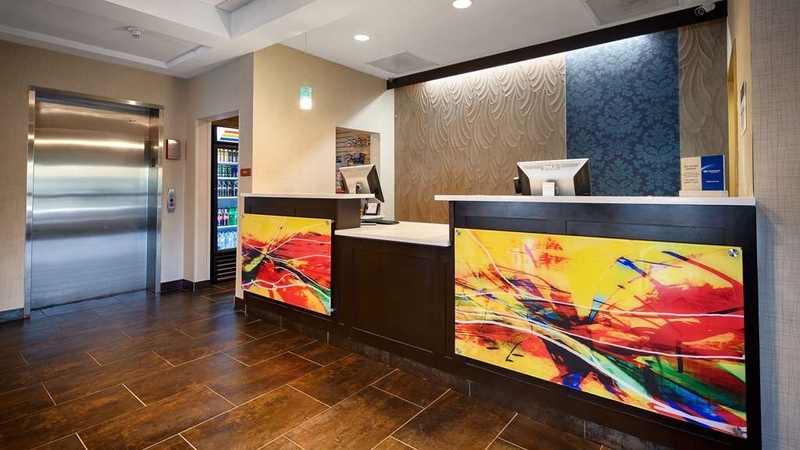 Welcome to the Best Western Plus Fairburn-Atlanta Southwest! 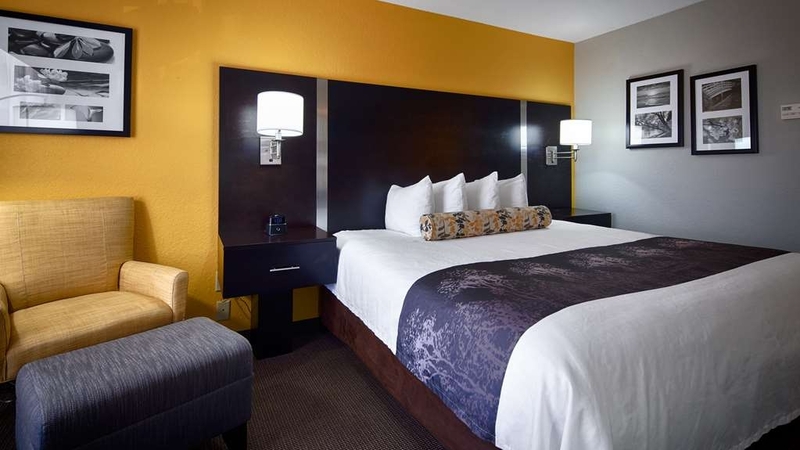 Hotel in Fairburn convenient to downtown Atlanta, 100% non-smoking Best Western Plus Fairburn-Atlanta Southwest knows how to provide the best guest experiences. 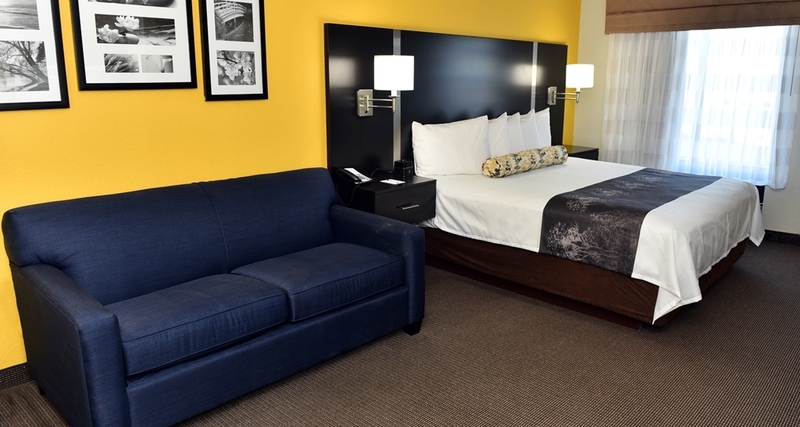 Our hotel's location near the Atlanta Hartsfield -Jackson International Airport (ATL) and I-85 makes us an easy choice if you're traveling to or from Atlanta. Corporate travelers enjoy access to quality business amenities, such as 650 square feet of meeting space and the 24-hour business center in the hotel's lobby. Fairburn's central location near corporate business parks like US Foods CSX, Cooper Lighting, Nestle/Purina Pet Food Company and Excel Logistics/Sabre helps you spend less time on the road and more time with clients. From the World of Coca Cola to the historic Fox Theatre, there's an attraction for all of our hotel's guests. Fairburn, GA is 17 miles from the heart of Atlanta, so it's easy to visit top spots like the Georgia Aquarium or see the media in action at the CNN Center. Sports fans love being within a short drive of Phillips Arena, the Braves' Turner Field and the Falcons' Georgia Dome. 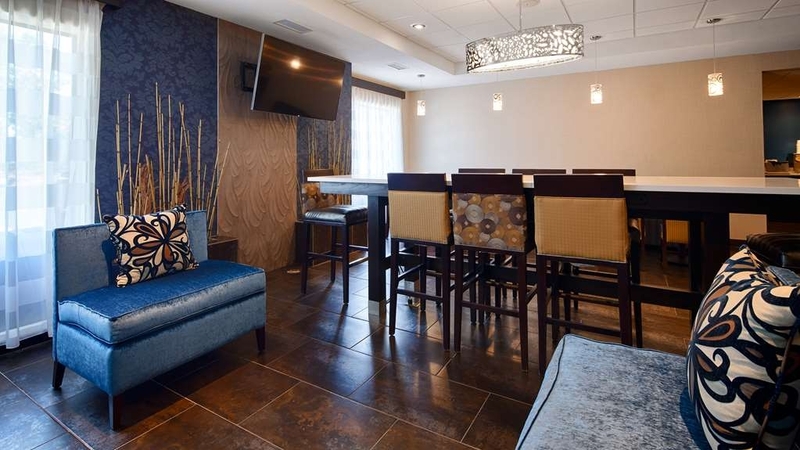 While lodging at our hotel in Fairburn, guests can start each day with a complimentary hot breakfast and newspaper. 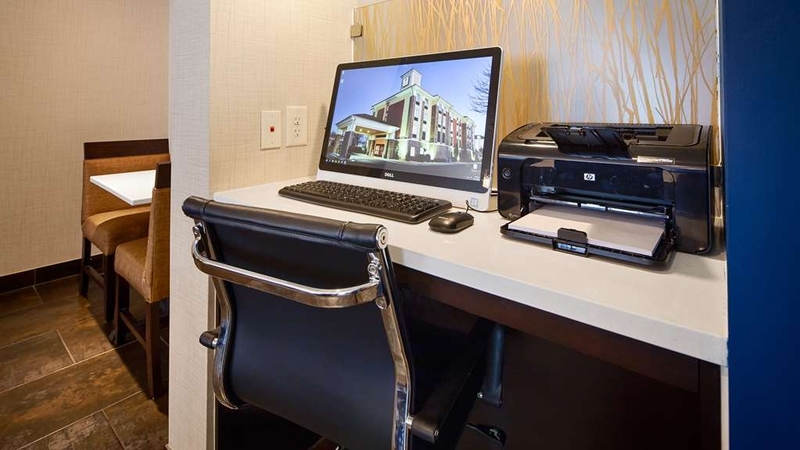 Stay connected with free high-speed Internet access from the comfort of your room or suite. 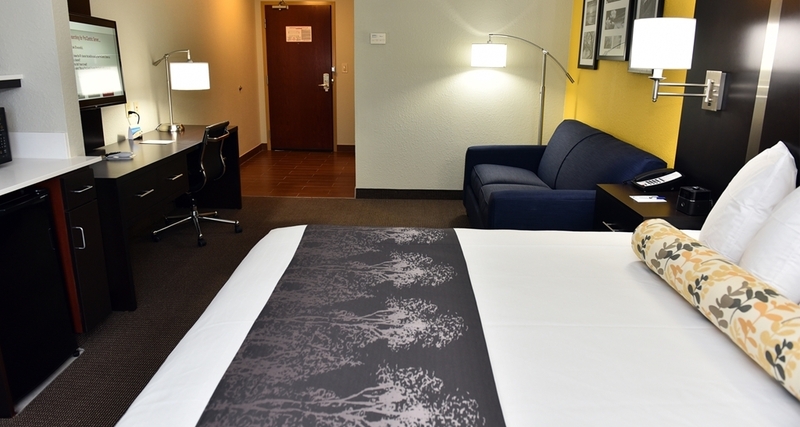 Book a quiet room at the Best Western Plus Fairburn-Atlanta Southwest today! Enjoy your stay. Breakfast was hot and with a great variety; room was clean; husband really loved the citrus bath products; bed were comfortable; only issues was the internet was very slow (practically useless) and noise from the gas stations outside the window. "just needed to get away"
We sincerely thank you for your feed back because we care about your satisfaction and look forward to you visiting us again! "You get more than you pay for." Our experience at this Best Western we outstanding. Everyone was very helpful. Our check in went very smoothly. They had our room ready for us when we arrived even thought we called just about an hour ahead of time. "Clean facility with excellent customer service." 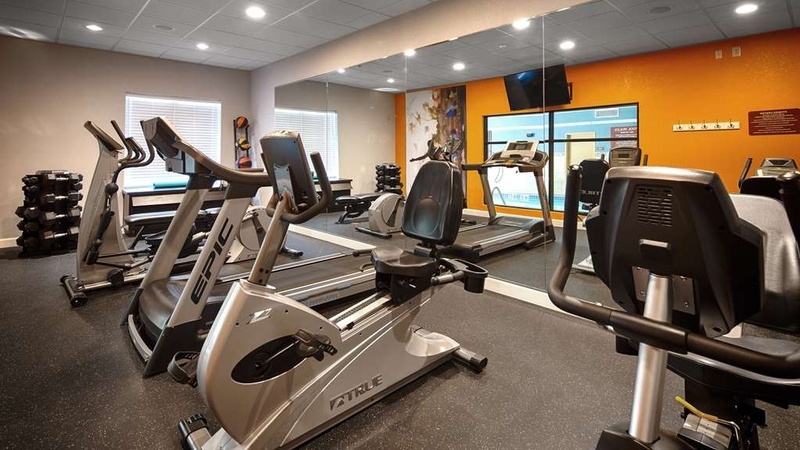 The facility was clean, the staff was friendly especially Mrs. Vicky at the front desk, they checked me in even though it was earlier than check in time, everything was explained in detail, the room was EXTREMELY clean and comfortable, with eating establishments close by. Would definitely stay here again. "Always clean and staff is always professional"
Jacqueline is a great addition to this hotel, she is always helpful and very professional. The rooms are always clean and the area is a great place to explore. Great location. Overall a great place for accommodations. Thank you for your feed back! We appreciate knowing about your experience during your stay with us. We do care about your satisfaction and we are delighted to know that you were pleased with our guest service. We found this hotel randomly on the way to New Orleans from NC. We were so impressed we came back again. We slept through breakfast the first time and missed a great feed. Tanya on the grill is awesome, funny, and a wonderful person. Assisted by Portrice they ensure that customers are very well taken care of, they even asked if they could take an elderly womans tray to the room for her husband when they noticed she had trouble walking. Miss Nicky the general manager runs a fantastic operation and it shows!! All of her personnel seem to enjoy their jobs and the customer service that they provide reflects their enthusiasm. Best Western should promote these employees accordingly!! Thank you so much for your valuable feedback! we appreciate knowing about the experience you had during your stay at our hotel. We do care about your satisfaction and we strive to become your home away from home. We look forward to seeing you again soon. The staff were super friendly and great. Hotel was clean and nice. Bed very comfortable. Great highway access and food options nearby. Reasonable price and a great experience. I will be back next year! Thank you so much for your feed back, we do care about your satisfaction. We also appreciate it when you let us know about the experience you had during your stay with us. "Only stay at Best Western"
Me and my fiance spend here nice time.Totally friendly stuff-smiling all the time, clean rooms, good location, a lot of parking places. Maaaaaybe breakfast was not great but generally was everything all right. Thank you for your response to our recent survey. We care about your satisfaction and appreciate it when you let us know about the experience you had during your stay with us and we hope that you come back to visit us again. The guest rooms were average. This hotel was centrally located near the events for our family reunion. The hotel provided a free breakfast. However the menu and the taste of the food left a lot to be desired.This hotel only had one elevator which the housekeeping staff also shared. This hotel has 74 rooms and this made it difficult to move around from floor to floor in the hotel. Thank you for your feed back. We appreciate knowing about the experience you had during your stay with us. We value your comments because we know there is always room for improvements. Perfect stay on the way for our roadtrip in the USA. Easy to get to Atlanta, and the hotel is clean, rooms are quite big, and the staff is super friendly! Absolutely no complaints from us! Would definitely stay here again, if another roadtrip is in the works ?? Thank you for your response to our recent survey. We care about your satisfaction and are happy that you enjoyed your stay with us . We hope that you come back to visit us again. Stayed only one night and after finding pink mold around shower handles we were happy to leave. The vent cover in bath was completely covered with dust. The hallway from the elevator to our room had a very unpleasant smell, which continued into our room. Ac unit emitted a foul odor also. We informed two different employees at the front desk and only received an “ok” with no further information. The hotel is overpriced and not at all comfortable. Such a disappointing stay after a long trip. Thank you for responding to our recent survey. We do apologize for not exceeding your expectations during your stay with us. 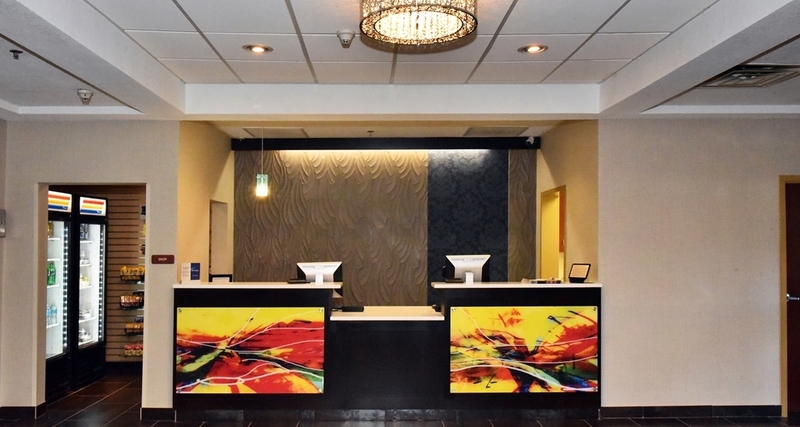 Our front desk agents are available and equipped to make room changes if available. We hope that you give us another opportunity to provide you with the superior service you deserve. Clean and comfortable hotel with friendly and helpful staff. We spent one night at this hotel as a layover during our travels to a family reunion. Great location. Surrounding area allowed for ease of moving around and locating restaurants and other areas of interest. Thank you for your response to our recent survey. We do care about your satisfaction and are happy that you had an excellent experience at our hotel. We look forward to you coming back to visit us again whenever you come back to the area. 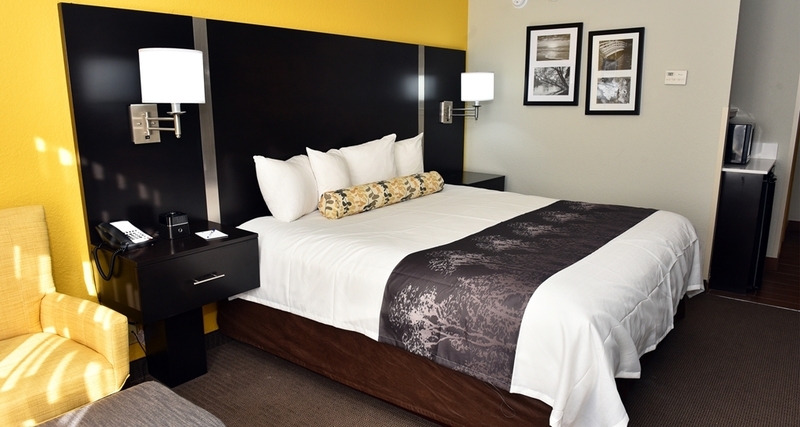 "Great stay at an even better price! " My husband and I were shocked when trying to secure a hotel while in town for a game. We ended up finally finding this one albeit on the outskirts of Atlanta. We were met with a surprise in this hotel. The staff were so welcoming a friendly. The 2 mornings we were there the breakfast offerings were fresh, hot and plentiful. We were also greeted with 'good morning,' met with friendliness and helpfulness then told have a great day! The room was clean and comfortable. We can recommend this for sure. Thank you for your response to our recent survey. We care about your satisfaction and are we're happy that you had a positive experience at our hotel. We hope that you come back to visit us again. My family and I stayed at Best Western Plus in Fairburn this June. 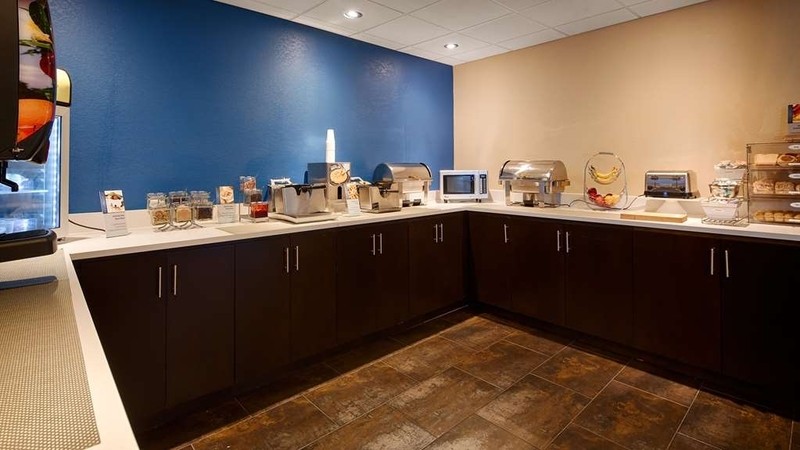 The staff was friendly, the room was clean and my kids loved the breakfast. The pool seemed a little murky so we didn't get in. Overall, the hotel was nice. I would stay there again. Thank you for your response to our recent survey. We appreciate it when you let us know about your experience at our hotel because we do know that there is always room for improvement as we continue to strive to provide superior guest service. We hope that you come back to visit us again soon. "Beste Western stay - Memorial Day weekend 2018"
Great location and proximity to city sites. Everything was perfect except for the bed and the guest noises heard throughout the nights. I will be staying at this location again and will gladly let you know how it goes then. Should be in a couple of months. Thank you for your recent response to our survey. We appreciate knowing about the experience you had at our hotel, because we do strive to provide superior guest service. We are looking forward to your next visit. "I will be back to this hotel soon. " I would have never imagined to be writing a review about a Best Western Hotel, however, this location has forever changed my thought process. Check In was a breeze Alejandra was amazing even giving us a welcome package. We were in town for a funeral and she was extremely pleasant and thoughtful. The room was well appointed,clean and very comfortable to say the least. The bed was cozy and I didn't want to get out. As for the breakfast I would t call it continental. There were multiple items to choose from and the attendant ( young slender female which I can't recall her name) was delightful. She made sure that everything was refilled timely and even brought the hash browns right out to my table. I have family in the area of the hotel and I usually stay with them for overnights, but this BW is my new go to! Thank you all very much your professionalism and hospitality is well received. Thank you for your response to our recent survey. We do care about your satisfaction and we appreciate knowing about the experience you had at our hotel. Our goal is to give our guest superior service so that we can become their home away from home, and on the behalf of the employees that worked as a team to make your stay memorable, thank you. We hope you will come back to visit us again soon! I stayed there for at least 3 nights. I enjoyed my stay while I was there. It was quiet and there are lot of places to eat near by. It is a nice duck off spot off in the cut and is close to the highway. Thank you so much for responding to our recent survey! We are happy that you enjoyed your stay. We hope you come back to visit us again soon. Stayed twice this year at BW in Fairburn, Georgia with my family. George the cook, was reason enough to book again. He made sure each guest got exactly the eggs they wanted, helped each child with the waffle maker, and shared stories about his Spanish heritage. Rooms were clean and modern. Staff very friendly. Definitely recommend. Thank you for responding to our recent survey, your satisfaction is important to us. We are especially grateful that you were pleased with the service you received while enjoying our hot breakfast. We hope that you will come back to visit us again soon. "Great alternative to Atlanta's airport hotels!" I spent the last two nights there before my flight back to Europe and basically enjoyed it very much. Spaceous room and shower. Very clean. Nice people at the reception and in the morning at breakfast. I ordered some online tickets and the receptionist helped much by printing it. For some reasons there was no room service after the first night, as I discovered when I came back in late afternoon after a visit in Downtown Atlanta, although I removed the "Don't disturb" note at the door. I didn't report this because there were enough towels for the 2nd night. Thank you so much for taking the time to respond to our survey, we do appreciate your feedback your satisfaction is important to us. This information helps us to improve upon and to continue providing that superior guest service to you and our future guests. With Kind Regards. 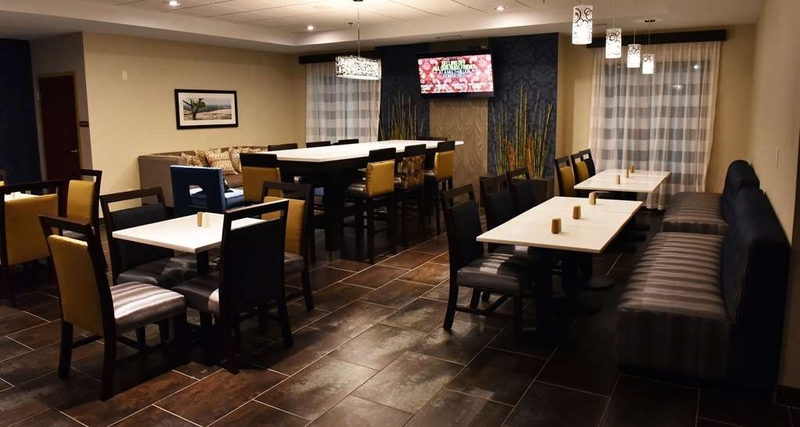 Very nice hotel, it's in a great location, plenty of places to eat, friendly service, room was very clean, comfortable bed, breakfast was good, speedy check out...we would definitely go back and definitely recommend this hotel. Thank you so much for responding to our survey. We do appreciate your feed back because it assists us in providing superior service to you and our future guests. We are so happy that your getaway was a success and we hope that you will visit us again soon. Keep up the good job!!. This hotel was very pleasant. I felt safe the whole time I spent there. I will return to this hotel next time I find myself going to Atlanta again. Hopefully it wont be too long. I had an issue with double booking but that was taken care of right away when I went to the front desk to check in. The woman at the desk (didn't get her name) was very friendly and knowledgeable about the hotel and surrounding areas. She made sure we received everything we needed. The room was very nice. Loved the super large shower! Everything was impeccably cleaned. The bed was nice for one night but felt a little more firm than I am used to. All in all, it was a great stay and I would stay again! Dear Jeri C. We do appreciate your feed back because it helps us to better accommodate you and others in the future. We are happy that for the most part you were pleased with your stay. We hope that the next time you are in the area that you choose us to be your home away from home and thank you again for allowing us to serve you. 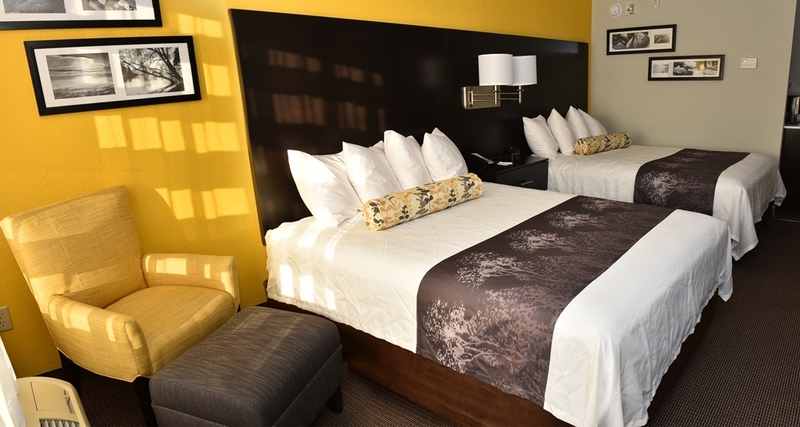 "Comfortable beds & pillows, nice front desk staff and coffee all day"
Though my TV didn't work when I checked in and I had to change rooms in the middle of the night, the staff was very friendly and helpful. It was nice to have warm coffee available at all times. So nice to have many pillows and hair conditioner in shower. Breakfast in morning is great because many items are portable, which was great to bring to room. Boiled eggs are awesome! I eat clean (I eat egg whites only) so this is important for me, thank you! The breakfast was not to my liking. However, the staff is very friendly. The room was clean. The hotel is close to several fast food restaurants, only about 5 min from Publix and 15 minutes from an outdoor mall. I would stay here again. However, I would need to eat breakfast somewhere else. 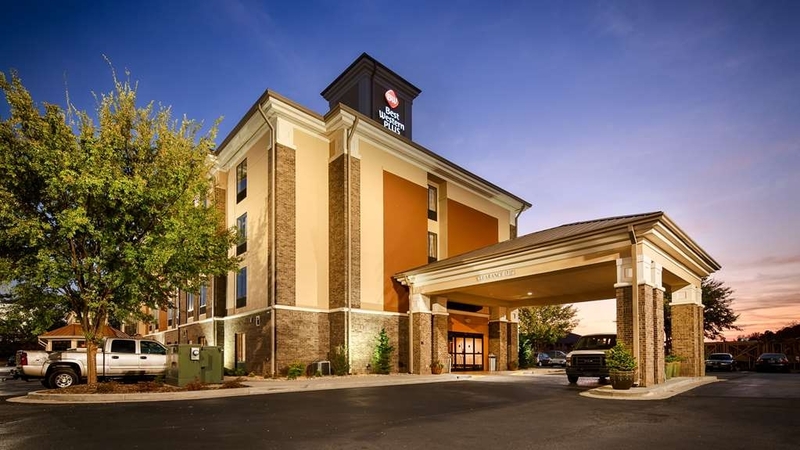 Traveling through Atlanta and looking for a friendly professional and clean night's stay, this location provides easy access off the highway with a great staff and an awesome complimentary breakfast! A must if you are in the area. The front desk staff was friendly and helpful. The hotel was clean and comfortable. Located with quick and easy access to the freeway. Close to restaurants and stores. Breakfast had lots of protein options! This was a nice treat instead of all sugary, high carb breakfasts provided at most places. The rooms were spacious and very clean. We will definitely stay here again. Front desk was very friendly and professional. The price was reasonable. Their breakfast and coffee was very delicious. Thank you so much. great place to stay, very helpful, I would recommend this motel to any business traveler. I have stayed there over 100 times. I will not stay at a unclean or unfriendly establishment. The motel is close to many restaurants and a Publix. If you are looking for a place to stay every time your are in Moody, this is it. Great hotel for the money. THe staff was kind and generous. The location was not near our soccer field but the close location to the highway helped. The surrounding area was up and coming, you can tell they are trying to improve the area. We wil stay here again if we are ever in the area. I needed a hotel south of Atlanta to be near a business dinner in Peachtree City. The BW Plus Fairburn was perfect - very clean, located just off the freeway on Highway 74, and with an exceptional staff. I would recommend it to anyone in need of a business hotel in the area. The first room they put me in had no hot water. They said I could move to another room. The second room, had luke-warm water. I got a very borderline shower. And, there was hair in the bathtub! ICK. The front desk clerk didn't seem apologetic about any of it. I made a reservation and pre paid online. At the end of a day preparing for an Estate sale of my late parents property, the hotel did not have our reservation. We had to pay again for the room. It was a very frustating end to a difficult day! This is my go to hotel when visiting family. I enjoy the clean environment and nice staff. The pool, gym and kitchen is always clean. The breakfast is good and really nice to help you prepare for long waits at restaurants in downtown ATL since waits can go 1-2 hours for quality eateries. The only thing that was wrong was one light that flickered. This was one of the best hotels I've stayed in, in a long time. Clean, awesome breakfast, and very nice room. I would recommend this place to anyone. "GEORGE THE CUBAN GOURMET "
Dear Arnwellkyle, Thank you so much for your wonderful review, yes we've added so many new items to the menu and with George's special touch and Cuban sazon we have seen the improvement. We are thrilled to learn that our efforts have been successful in our efforts to offer a better breakfast experience for our guests. The look of the hotel was nice and clean. The bed was to hard for my taste and we were looking forward to hanging out in the hot tub, but it was just jets in the corner of the pool. The breakfast did not taste good either. However the staff was very friendly. Outstanding property. Only suggestion is improve the Internet Access. A highlight of this hotel was the helpful staff. I tend to wake early, and the overnight crew was able to make sure everything worked. The fact that my room initially had no towels was no big deal, as the staff came up with the goods quickly and in a nice way. 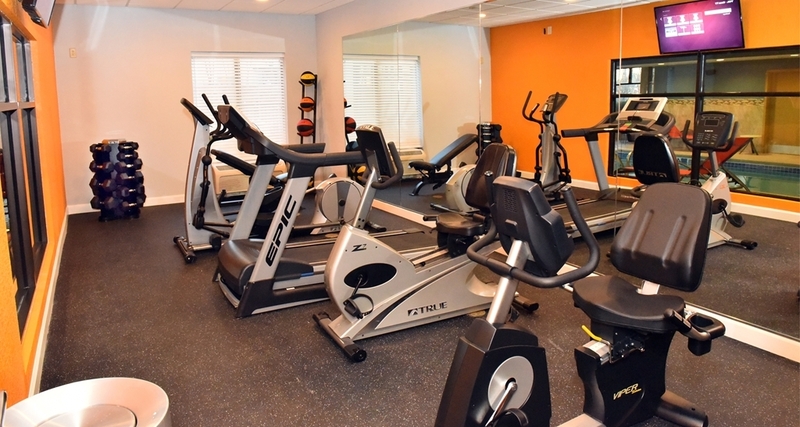 Other minor issues were dealt with quickly, such as non-working TV remote in exercise room. Kudos to owners for providing adequate staffing levels. Staff had good team spirit. General note to guests: Try to avoid being the people that go to the pool, then go the lobby and soak all the seats. Creates issues for other guests who may, for example, want to arrive at their sales call without showing a damp pants rear. While this didn't happen on this trip, the reason for the spa/pool opening being delayed until 9 AM was evidence that it has, in the past. As an example of how accommodating the staff is, they opened the pool when I complained, even if I was, myself, a little grumpy and critical. "Turn that frown into a smile." George's eggs were awesome. Onion, garlic, mild spice. The room and hallways were dirty! crap all over the floors. Didn't recognize my Diamond select status, don't offer a weekly rate. They don't have suites. The lady looked at me like an alien when i brought up these issues. I wont be back, gross! This is a really good hotel to stay in, close to Senoia for anybody doing the Walking Dead Tours. 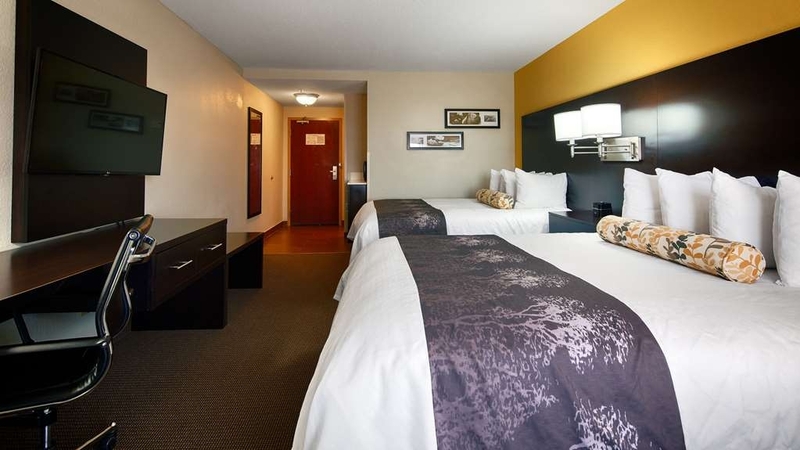 Hotel is very clean, modern in appearance and staff are very helpful and pleasant. Breakfast was very good especially the coffee, can't remember the member of staff's name who manages the breakfast but he was very friendly and he was the one who made the coffee. We needed a place to stay over night on trip home from PCB to N. Carolina. Room was clean and neat. Beds were very comfortable! My kids loved the HD tv with so many channels for 4 year olds. Breakfast was delicious. We had eggs, bacon, waffles, pancake/waffles and yogurt. We got there very late around 1 in the morning and staff was very friendly. We will be planning an Atlanta trip next year and will be staying here again! Highly recommended! Great staff! Great service! Peaceful environment! Great location. Chinesse, Mexican, fast food, Starbucks and other restaurants across the street and down the road!!! Airport transportation service was also excellent. Thank you so much for your excellent review and your recommendation. When first arriving the front desk attendant was helpful. However, when I got to the room it was awful, The bed was not made properly, corners not tucked in just disgusting They gave me another room but housekeeping forgot to restock items, towels, the bedspread was horrible. NEVER AGAIN WILL I STAY AT BW! My bed wasn't made up on my last night of stay. I did not have the do not disturb sign out , they skipped it. Room smell like smoke and bathroom wasn't clean. I will never recommend this place to anyone. We were looking for a hotel near our family and not that far from ATL airport. Most were well over $100+. We had stayed at BWPlus hotels recently and decided to give this one a try. We were glad we did. Thank you! For a very comfortable stay. The room was always immaculate whenever we came back from a day of fun. It was honestly an home away from home. My boys were very happy and had no complaints. We really enjoyed the breakfast and really appreciated house-keeping for their hard work and pleasant attitudes. I based my Hotel selection based on reviews and BW did not disappoint. the rooms were spacious. the bathrooms were as well. comfy beds. wanted to stay longer--just in the room. being close to shopping and restaurants added plus. I will be visiting this BW next time i'm in the area. and I will visit other BW properties when traveling. The service we received was great. The location, the exterior and the lobby area of this hotel is nice also. The hotel smells clean, but I could smell old water pipes in the shower and restroom sink. The hotel room decor was dark and drab. I prefer light, airy and relaxing decor for hotel rooms where It's difficult to hide cleanliness. "Bad experience booked online at arrival no room available system rebuts at 2 am no rooms no assistance took 3 hours to g"
Not stayed in a Best Western before, but was very pleasantly surprised how much better this was than a recent stay at another chain (different state). Everything was clean. Breakfast was as expected. Great friendly caring staff. Very nice hotel for the price. The staff was fantastic and very helpful. The only thing that I would have liked to see was the pool be a little bit warmer and maybe quieter rooms. We would stay here again! "A Great Hotel to live in this area!!!!" Everyone was great to be around, friendly, had everything we needed and could ask for. Very clean, neat, homely like rooms. The only small problems I had was. The body drying towels are too small, they are just a little bigger then a hand towel. And the other and last problem was My toliet seat was coming off when trying to use the restroom. "Just a place to close your eyes...."
Located outside Atlanta within a bustling town called Fairburn, lies an artery of hotel choices. If you need a place to sleep let this not be your first choice, Second maybe but not first if Holiday Inn Express, WinGate, or the Hampton is booked for the night. It's always a pleasure here at best western this is my second time here ! Had a bad experience with the receptionist the first day but we saw eye to eye eventually ! It's convenient to restaurants and expressway ! Minutes from downtown and Airport. Nice hotel and close to the horse park and restaurants. Carpet needed cleaning. The pool area was extremely hot as they ran the heater. Hotel staff was very nice and accommodating. 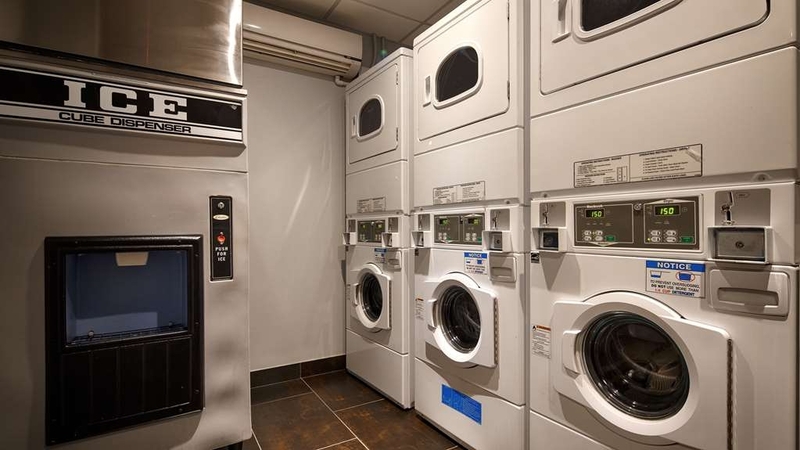 Laundry facility was helpful being in a hotel. Clean and nicely appointed. Breakfast was Great!...The staff was welcoming and friendly which makes the hotel stay more enjoyable. The next time I come through the Atlanta area I will be staying here. Thanks again! "Very good place to stay for vacation." If you like a loud TV in the next room at 2:00 am and the staff doing nothing meaningful about it after two calls then this is the place for you. I have no expectations of staying at another Best Western. Hotel and staff was clean, professional and awesome inclusive. Staff went out of their way to explain amenities and ensure our comfort. Location to local amenities were explained by staff. Awesome area for ATL visit. Dear Mr. MontyM-ePublishing, Thank you for taking the time to tell us about your experience during your recent stay with us. Thank you for your 5 star rating, we hope to see you again soon! First of all the desk staff was very cordial and helpful, a minimum amount of time to check in as all paperwork was prepared in advance. The room was very clean and neat and the bed was super comfortable. The A/C was a little noisy and we had to shut it off at night other than that a beautiful room. Breakfast appeared to have the usual cereal, biscuits and gravy, waffles, pastries, eggs and bacon, however we did not participate, but the folks seemed to enjoy. Dear Vern O, Thank you for your wonderful review, I'm glad to read that you had a great check-in experience, I'm sorry about the noisy A/C unit. We are constantly working on improving our guests' experience so your comments are very helpful. We hope you choose to stay with us again whenever you are back to the Atlanta area. "Poor Check-in experience ...and.... breakfast timings." The check-in experience was incredibly poor. Arrived at the check-in, there was one staff member helping out another guest, and taking a very long time . obviously the guest had some issues , and it was taking time to resolve it. There was a second terminal lying vacant, but no second staff member was called in to help us check in. I had come after along day of sight seeing walking miles and miles, yet was foced to wait for nearly 25 min behind the guest being helped and the staff member looking into it. a proper thing would have been for the staff member to acknowledge my presence, call a second staff person to the terminal to help me out, or atleast find out why i was standing there and perhaps told me to take a seat elsewhere. neither was done. The complimentary breakfast closes at 9.00am. It should be kept open late on sunday mornings for folks who get up late. Yeah I get it rules are rules, but soem flexibility can be introduced when especially in group bookings attending a wedding the previous night. "Pleasant stay...only minor complaint was that the indoor pool was chilly"
I've stayed here once or twice every spring during the Georgia Renaissance Festival and it's been consistently good. The rooms have been fine and the in-room amenities include a fridge and a microwave. 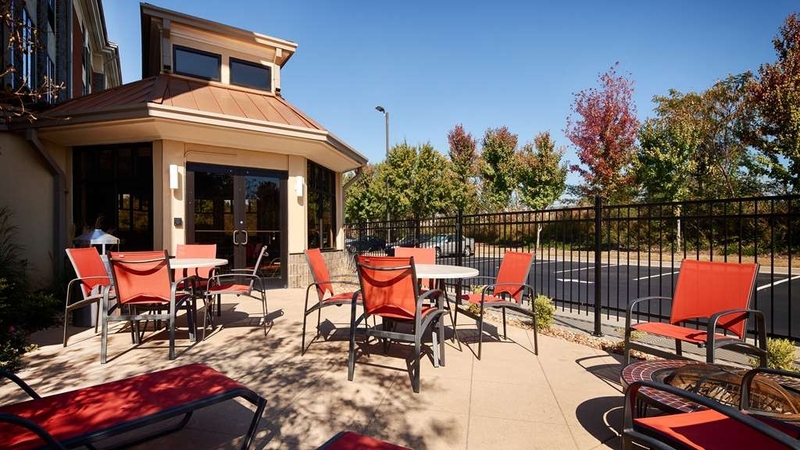 You can't beat the location -- very close to I-85, and the area around the hotel is walkable and safe. My only minor complaint is that the indoor pool was chilly...and it's been chilly on every visit. Not so chilly I won't get in it, but it comes as a bit of a surprise. Dear Paul C, Thank you for taking the time to let us know about your experience, your feedback is valuable to us and our future guests. I am sorry to hear that our pool was not up to your expectations, we will make sure to resolve this issue and hopefully you will find it to your liking on your next visit to the Renaissance Festival. After a series of cancelled flights out of ATL, I begrudgingly booked a hotel room here, at one of the last rooms available in the greater Atlanta area -- only to find upon arrival that they did not, in fact have any room at their inn (through no fault of their own). While I was devastated and completely at a loss for what to do, the generous folks at the Best Western Plus managed to not only secure me a room at a different hotel, but also drive me there in the middle of the night, AND pick me back up the next morning!! I was near tears when I thought I was stranded alone in Fairburn at midnight, and after these 2 employees' generosity, I honestly shed tears of gratitude. Although I can't speak to the quality of the rooms here, I can more than vouch for the high quality of the staff's character. Thank you SO much, friends, and I hope to come back for a real stay some day! I love staying there.. The shaffs are really professionals/ nice. Looking forward for my next trip. Thats really soon!! Oh yeah I like the eggs with the cheese in the middle better.. Lol. Just think I should add that. Dear 961daniac, Thank you so much for taking the time to let us know about your experience during your recent stay, your feedback is very valuable to us. We can't wait to serve you again soon! We stayed in a King size suite with a separate sitting area with a sofa and a desk. The beds were comfortable with good linens and bedding. Clean hotel with friendly and accommodation staff. They have an indoor pool with spa in the same pool. Only open until 9pm. Would have been nice to use,but time did not permit. Other hotel pools are open later...At least until 10. Bathroom had large all tiled walk in shower but only a portion could be used as the shower head was in one end and the other end of the shower was the open entrance. Breakfast served until 9 am,which I can't comment on as I slept in. Dear Marlene B, Thank you for taking the time to let us know about your experience during your stay with us. We are glad to hear that you had a comfortable stay. 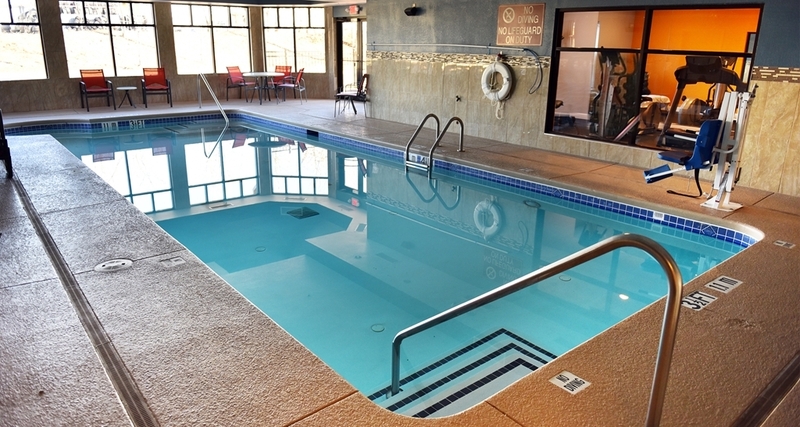 Please come back again soon and take a dip in our pool! "Friendly helpful staff make this a great place to stay"
We had a short weekend break to visit a family member. This hotel is very comfortable and we'll appointed. The highlight for us was how friendly and helpful the staff are. Everyone from the reception staff through to breakfast team were so welcoming. Dear Amanda B, Thank you so much for your wonderful review, we are happy to hear your stay was satisfactory. Please come back again whenever your travels bring you to the Fairburn area. Dear James W, Thank you so much for choosing our hotel during your business trip, I am so pleased to know that you received great service from Mrs. Nicky, she is such a valuable team member. Thank you for taking the time to give us your feedback this is very helpful to our future guests. Please come back and visit us again soon! "Might be a favorite... Great Stay!!!" Location was everything. I was happy to be located right by 85. Gas stations, Wendys, Chic Fil A all near by. Liquor store very close as well. The staff was very pleasant and helpful upon check in. SHe informed me of the hours for all the amenities and even got me signed up for the rewards program once she learned that I have stayed at a Western Plus previously before. Every time we entered the hotel we were greeted with a smile even when it was at 4 oclock in the morning coming from the club. I recently started a fitness journey and i was elated to find out they have an entire free weights set in their gym. This is not common and I was very happy to see them. I will definitely be visiting again. Dear mslovely9701, Thank you so much for taking the time to write such a wonderful review, we are happy to learn that you had a pleasant experience. please come back and visit us again soon! The hotel staff was great staff. They were friendly, helpful and professional. The room was clean and comfortable. The breakfast was very good. Close to I-85 and many restaurants. I would recommend staying here. Dear Jeff D, Thank you so much for taking the time to let us know about your experience, thank you for your kind comments about our staff. We appreciate your recommendation very much. Please come back and visit us again soon! Amazing rooms and friendly service . Didn't come out my room for nothing ??. Fresh and clean rooms and spacious . We will be back soon and will be spreading the word about how hospitable everyone was. "We evacuated here from Savannah"
The hotel was very very nice. I am very particular about the places I stay and when we had to evacuated I had to take what I could get. Well I would stay here in a heartbeat. The staff were the nicest people ever, very helpful and kind. I can't believe the price this was definitely more than a 2 star hotel!!!!! The hotel was average and the staff was nice. My husband and I only stayed one night. However, someone broke into our car and when I reported it to the hotel they said all they can say is file a police report and that it had happened before...ooooh okayyy, thanks. Thought this might be something people would want to know when trying to figure out if they want to stay at this place or not. Overall the location was convenient but a little too convenient as you can see. I'm just glad they didn't really have anything to take. This is a great hotel. The surrounding area is upscale. Good restuarants. The hotel staff is great. I spend a lot of time in Best Westerns and I have never been disappointed. The Fairburn hotel is away from the main rpad and quiet. Mrs. Nickey and staff were very courteous and professional Clean facility. Beds and bedding were very conferrable. Breakfast was very good for being a continental breakfast. Location was great next to major hwy. plenty of local areas to eat. Only 20 minutes to Atlanta metro. "Nice Comfortable and Clean Room"
Employees were very nice and helpful. Room 401 was a king suite with fridge and microwave. Bed was comfortable but pillows were too hard for my taste and there were no others offered in the room. Room was large, clean, comfortable, and quiet. Bathroom was clean and everything worked fine. 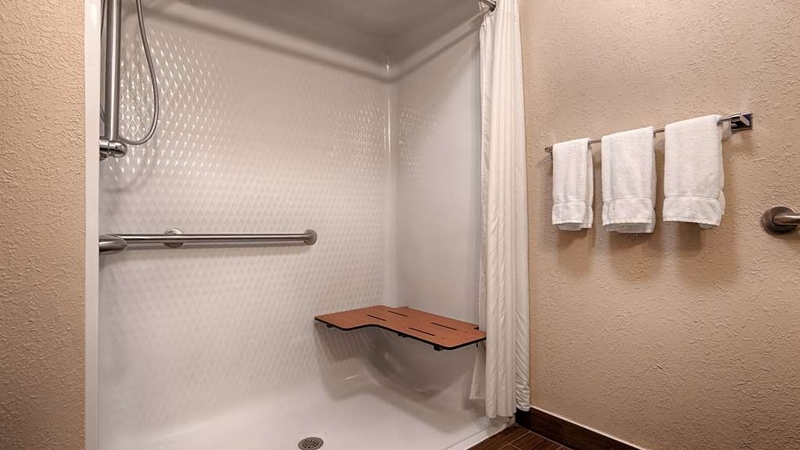 The shower is a large walk-in style, no tub, and could have used a bench seat, but otherwise was very nice. "Great for Business Travel "
The location of the hotel does not have much you do have to travel 20-30 mins to get to midtown or downtown. I am looking at relocating to Atlanta so it was a great location to see different parts of the area. The room was really cozy and big for one person, the staff was really friendly and gave me ideas of where to do my job searching at. The hotel is simple but yet it works because it allows you to do what you have to do. From check-in to check-out everything was great. Nice beds with plenty of pillows, in room fridge,microwave, coffee, iron, ironing board, and dryer. Extra toiletries are available upon request, if needed. We only had 3 towel sets in our room (and we had 4 people) so I mentioned it to the front desk on my way to get something from my car...the towels were already there when I returned...and not just one, but 3 extra sets. 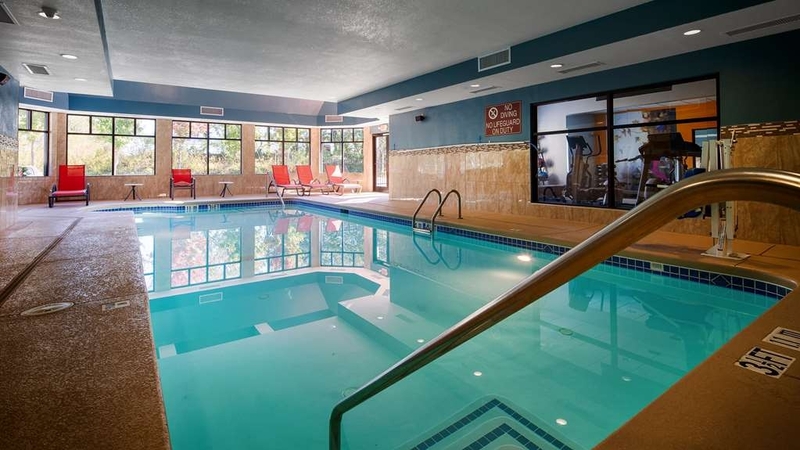 There is an indoor pool, hot tub, and gym, and a full breakfast each day. The price was very reasonable!!! We were very pleased. We have had to stay here at Best Western because out house is being worked on. I have had a great experience and the staff is no doubt the A team of customer service. Seantel, Jo, Jabari, Nicky are just some of the ones that are fantastic even the manager. The breakfast was great due to the hard work to keep everyone fed by a fantastic young lady by the name of Adasia. I recommend this hotel to anyone. "Great front desk, quiet hotel, decent price"
This hotel offers some good amenities for the price. Our room had fridge and microwave. There was a nice indoor pool and gym. Beds were comfortable, room clean and quiet. The breakfast was better than average (I say that due to the heaping piles of bacon!) I must say, however that the best part were the friendly folks at the front desk. Truly nice people. I don't often comment on front desk service, these people were so sweet and helpful. Thanks for that! My family n I came to Georgia for our family reunion. Jabriel was so helpful and so nice. Because of his great customer service I would come back again! Thanks again Jabriel, keep up the great work. 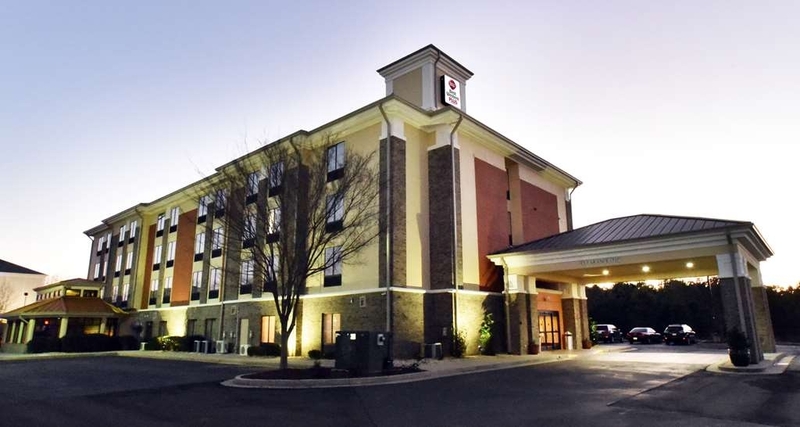 Best Western Plus in Fairburn was an great experience! Just a lovely time there 1st very quick check-in. Mr. Jabari Golden and Ms Sean'tel Davis always make feel at home away from home. They always accommodate me with a room away from the construction to make sure i am well rested for work the next day. Ms Sean'tel also work the breakfast area which is always fresh, hot, and very pleasant to the eyes. All i can say is thank you very and keep up the good work Thank You Very Much. It was nice, clean,and great staff. I hate the 3pm check-in time, but that's my only complaint. I thought the people were so nice even the housekeeper. They were friendly and checked on me as I past the desk. "Fourth of July Could Have Been Better"
The staff was very nice, especially the front desk. We did not get our room cleaned after day one though, and we didn't have any shampoo either, but two bottle of body wash. Kept knocking on the door which was generally not what we see in hotels anymore over the last 10 years. Front Desk clerk Nicky is very helpful and friendly. Seantel and Adasia are also nice as breakfast attendants. The only bad is on one particular stay my cc was charged and i already had paid. Overall great place to stay. Our Family Loved The Experience. Very Impressed by the Customer Service !! Very Clean & safe Area, despite the Other negative reviews, Our Stay Was Marvelous. Rooms was Beautiful & Great Cable Channels than any other hotel i have every stayed in. Breakfast Was Delicious Btw & I loved Mr. Jabari & Ms. Nicki they're Customer Service stood out the most. Thank You Guys!!!! "Had a great stay! June 24-26, 2016"
After reading reviews I was skeptical about booking at this hotel but my experience turned out great! Hotel was in the vicinity of many restaurants, gas stations, and the liquor store (which closes at 11 on the weekend); and right off 85 e-way. Even other stores and restaurants in Union City were not far away (approximately a 5-7 min drive away). The staff was very nice. Check-in was smooth. Every staff member we came in contact with had a smile and made sure our stay was okay. Our room was clean. We had a microwave and refrigerator, which was convenient. Thank God no one broke into our car!! To be in a room right by the elevator it was not noisey, so that was a good thing. Maybe we came in a quiet weekend but we were pleased. My only suggestion is that the hallway be cleaned better because there was a slight odor in the carpet in the hallway. Also to replace the shower head. Other than that the stay was comfortable! I would stay again ?? "Rude and disgusting staff members. Housekeeping doesn't clean!!!" I honestly don't understand how this hotel is still in business. If I could give this place -29.6 star I swear I would. Our car plus several other cars got broken into last night and the hotel staff was more than unaccommadating. After speaking to "management" they said that it's public property and will not help in this matter. I literally broke down in tears because our stay here has been nothing, but a living hell. Between housekeeping staff that wont clean. We stayed here for a week and was going to stay an additional week to stay because of the closing on our house. But today was the straw that broke the camels back. We have receive zero assistance from Best Western Plus. I talked to the regional manager at apsilon management Bob that "manages" this property and he was completely out of line and condescending. After explaining my situation I've been dealing and the car break in his EXACT words were, "Nobody's forcing you to stay here and if you think that this is a negligence issue then that's your opinion. Don't stay here." I can honestly see why some of the staff members are so rude. We've spent over $2,000 here between the best westerns here in Atlanta this month waiting for the closing of our place. I asked housekeeping to clean our room and on two different occasion. One indian couple said that our room wasn't on her list so they weren't going to clean it today. Yesterday, this lady said, "You clearly see me cleaning another room I'll get to it when I get to it." When I told the "supervisor" about the treatment from housekeeping she said, "But the room was cleaned this morning...sooooo....." I don't understand how these people get away this treatment towards paying customers. Money has been missing from my room several times. It was only 15 bucks in cash, but it's still my money. I'm so disappointed in the staff and management. I regret my stay here and I will deter any and everybody from making the same mistake I did. "Clean, new and odd policies and practices"
Staff members go out of their way to be helpful. Just of I-85, so super-convenient. Chick-fil-A, McDonald, Mexican restaurant within walking distance. Cracker Barrel a couple of traffic lights away. 4 wonderful pillows on each bed, although my bed was a bit too firm. I should have checked the other bed, perhaps it was more comfy. Super clean! Lovely indoor pool, but highly chlorinated. Parking was ample, free, and safe. Breakfast includes delicious CRISP bacon, which I have never seen ina hotel breakfast before, and good bagel selection. Three dry cereal choices. Be aware that there is no hair dryer in the room, but they do have a great coffee set-up and an iron for your clothes. "Don't plan on using your rewards"
As a Diamond rewards member, I checked in using my rewards points, so i thought, until at check out was advised they do not honor rewards points. When i spoke with front desk employee Jabari, he was extremely rude and sarcastic. Customer service is in dire need of an upgrade. Very disappointing. Hotel itself was good; however, if customer service is lacking, everything else falters as well. Time to step it up. "Formerly the Sleep Inn, recently renovated, pretty good stay but indoor pool was cold"
I'd stayed at this hotel before when it was a Sleep Inn, but between last spring and this one, Best Western acquired the property and made it one of their "Plus" properties. It's largely the same hotel but the room renovations are nice. The price is now $10-15 higher than before, though. The pool area -- and the hotel's description -- no longer include any mention of a hot-tub (it never worked anyway) and the pool was quite chilly. Rooms include a decent-sized mini-fridge and a microwave and the hotel is within an easy walk of a convenience store/gas station and several fast-food places. I didn't have a chance to try the free breakfast. The hotel's wi-fi (password available from the front desk) was nice and fast. All in all, it was a pleasant stay and it's still one of the least expensive hotels in Fairburn. Thank you for completing the survey regarding your recent stay at our property. We are pleased to know you liked the new renovations and enjoyed your stay with us. Your satisfaction and opinion is very important to us and we will be using your feedback to implement improvements to ensure we offer an excellent experience to our guests. Thank you for your frequent patronage and hope to see you soon again! 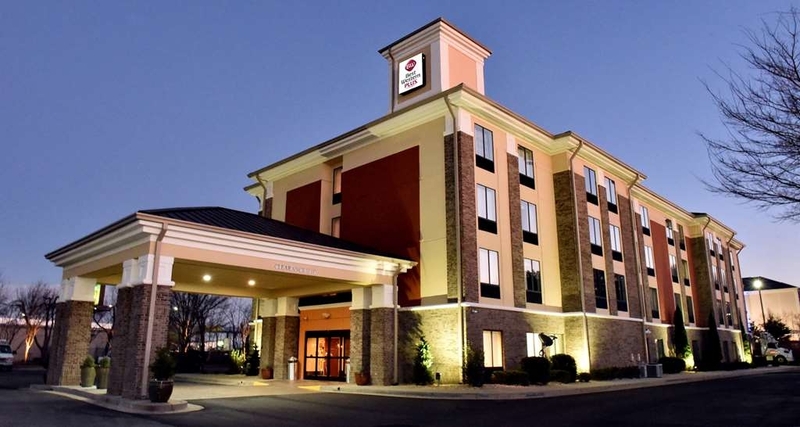 "My visit at the Best Western Plus in Fairburn ga."
My initial visit was Wonderful. The front desk was great they really put me at ease. After being checked in. I stepped into a fresh smelling room. I really like the new design of the hotel. I asked front desk to give me a wake up call. They woke me up right on time. I walked down to a fresh smell of breakfast. The Breakfast was wonderful. I would come back over and over again. Love the staff and all amenities at The best Western Plus in Fairburn ga. Thank you for your great review. We are pleased to know you enjoyed your stay with us. We appreciate your patronage and we hope to see you soon again! Everything about this hotel was excellent except for the room cleaning staff. One day room was not cleaned and another day no face towels were left. Other than the room cleaning staff I can not say enough good things about how the staff treated my wife and I. Very friendly, fantastic people! Thank you for completing the survey regarding your recent stay at our property. We are pleased to know you enjoyed your stay with us. Your satisfaction and opinion is very important to us and we will be using your feedback for training purposes and to implement improvements to ensure we offer an excellent experience to our guests. Thank you for your patronage and hope to see you soon again! Not a bad hotel but beware using your rewards points for a room the owner does not honor Best Westerns commitment. A darn shame the staff was very pleasant. $30 is a nice rate but warning me that you don't honor full rewards points before I receive my bill would be nice. There are plenty of hotels that dont honor and are upfront about it.Just feels shady. "Surprisingly Disappointed this stay!! I Frequent this location but this stay was less that expected......"
I had a 3pm check in, arrived at the hotel about 3:30pm and was not checked in until after 5pm spent an hour and a half in the lobby. I was not offered to stay an hour or 2 over the next morning which is what I would have offered as a courtesy instead I had the housekeeper knock on my door at 10:59 am and state if you don't check out now you will be billed another day?? Thank you for completing the survey regarding your recent stay at our property. We are disappointed to hear you did not enjoy your stay. Please accept our apologies on behalf of our entire team. Your satisfaction and opinion is very important to us and we will be using your feedback for training purposes and to implement improvements to ensure we offer an excellent experience to our guests. I hope you will give us another opportunity to serve you and we will do everything we can to make your stay happy and comfortable. The room was very clean and had a relaxing appearance. The Staff was very friendly and attentive to your request. We were there for a going home service for our Aunt. Most of our family from all over stayed there also. "stayed here during Nascar Race"
hotel was ok, our particular room had an ant problem. Didn't ask to change rooms. The free breakfast was just ok. It was quiet for the most part. We would stay here again if in the area. Didn't get a change to check out the pool or other amenities. Thank you for completing the survey regarding your recent stay at our property. We are glad you enjoyed your stay with us. However, we are disappointed to hear about the ants in your room and sincerely apologize for any inconvenience caused. 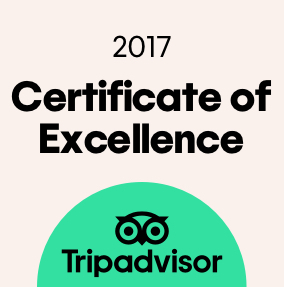 Your satisfaction and opinion is very important to us and we will be using your feedback to implement improvements to ensure we offer an excellent experience to our guests. We hope to see you soon again! Very pleased with the appearance of the hotel. First reaction was that the hotel was brand new! The check-in experience was easy and professional. Because we had been delayed by traffic arriving at the hotel, we were very glad that check-in was quick, efficient, and we were in our comfortable beds hastily. 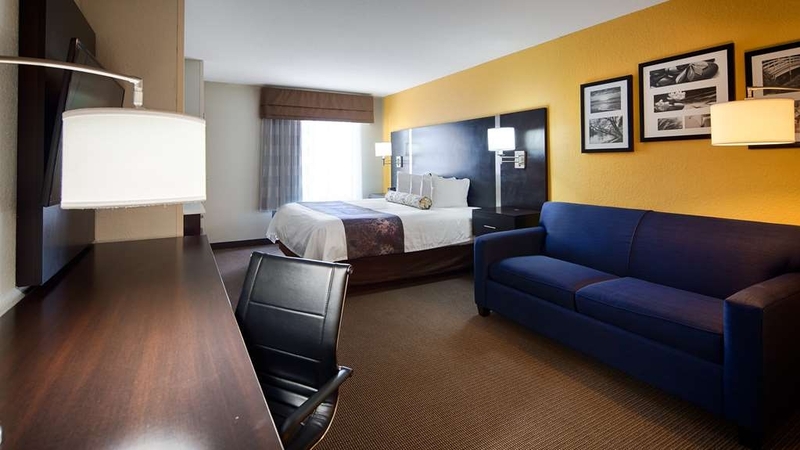 We travel a great deal on soccer trips and have found that Best Western is becoming our hotel of choice. The breakfast is adequate for our needs...always well stocked and clean. Thank you for your great review. We are pleased to know you enjoyed your stay with us. We have recently renovated the hotel. We are also glad that check-in was quick and efficient; our staff takes great pride in the service they provide. We appreciate your patronage and we hope to see you soon again! "Night's Lodging on a 4-Day Plus Road Trip." I was very impressed with this hotel in terms of value, location and attention to detail in its decor. 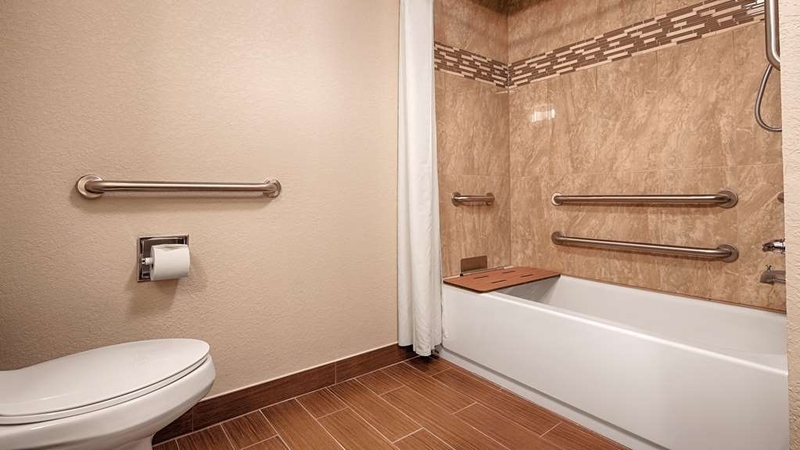 I had never stayed at Best Western Plus before and I was very pleased with the room features. Plenty of space in the bathroom for my products and a full-length mirror that is sometimes overlooked. Well done! Thank you for taking the time to write this great review. We are pleased to know you were impressed with the hotel's location and our recently renovated hotel. We appreciate your patronage and hope to see you again soon! "Convenient Stay for an Affordable Price"
I needed a place to stay for a wedding that I was attending and this hotel was down the way so I decided to give it a try. The environment was decent, but distracting due to the fact that they were in the middle of being bought out by another chain and renovation were taking place during our stay. Despite the changes, the staff was polite and courteous, and the room was neat and clean and worth the price for a simple overnight stay. "BEWARE- no longer choice hotel..Oakley Inn"
Mysterious "reservations" are made(up) in your name, and then, while you are actually checked in to another room, they will charge you for a no show for another room on the same day. Watch your cards carefully after a stay here. Delta delayed flight so received a voucher for here Front desk staff was super nice Furniture and bed and linens were good but bed was too hard for my taste They have a coffee machine. Took one sip and spit it out. I think it was made from fossil fuels. One bar of soap for sink and shower Old hotel looks like the have been limping along They did provide toothpaste toothbrush and deodorant free of charge. Thank goodness because all my stuff was in my checked bag. I wouldn't stay here again but that doesn't mean it wouldn't be a good budget hotel for someone. Thank you for the feedback and glad that you enjoyed your stay. Will share your experience with the team. Thanks again.